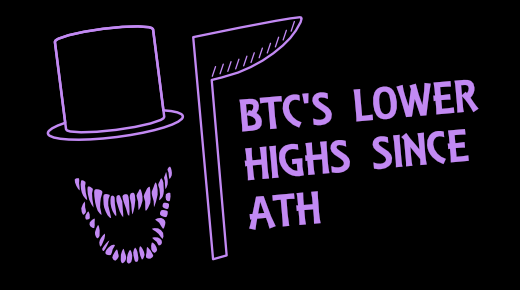 As the numbers show, Bitcoin’s price produced lower high after lower high after lower high. Some of the lower highs came very close to the previous high but couldn’t manage to rise above. Therefore, I would expect the first higher high since Bitcoin’s all-time high to have a significant effect on the market. The question is just – when will we see this higher high? Can we see it tomorrow? Possible. Can it take a couple more months and more lower highs until we see a higher high? Absolutely. However, with the Bitcoin price going lower and the margin between previous lower highs getting smaller, I expect this pattern to come to an end in a not so distant future.